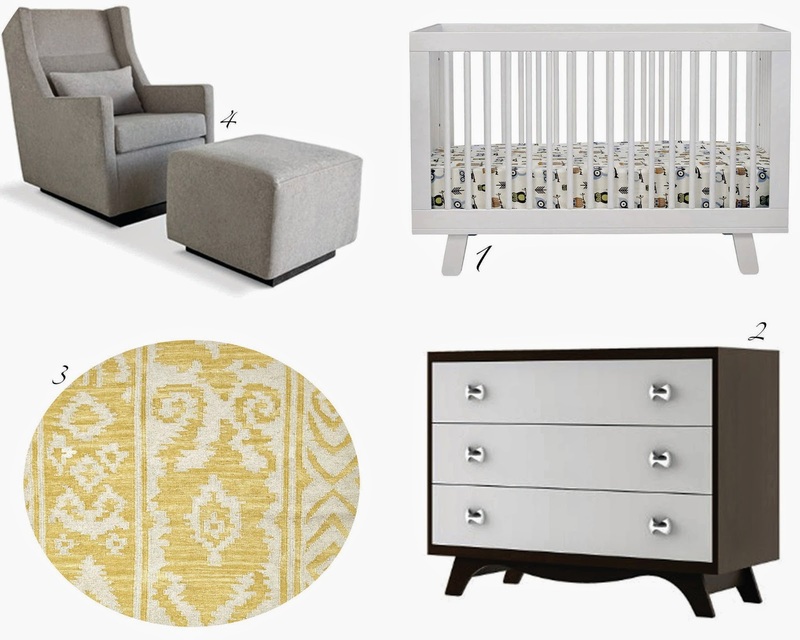 I have been having such a fun time daydreaming about my little lady's nursery. I fell in love with Dutailer gliders but haven't decided on a model quite yet (and its going to take a lot of saving before I ever get one). I like this one because it has sides that I can lead my head against in the middle of the night. Her crib will be white, and I don't care so much about its shape or anything anymore. For the dresser, I think I want to go with a two tone look, like this one. I love it. The wood frame, white drawers and big chunky pulls. We already have a dresser that I think I will redo for this look. That project coming this summer! I love this tribal print rug, it adds a pop of color and I love the pattern. I don't want a lot of other little nick knacks or stuff in her room, as I am sure her room will be cramped enough as it, and trinkets just aren't my style. I may hang her blessing dress up on display somehow, but I am undecided on that. I really just wish we were already in the home we are going to bring her home to (wherever that is) so I could start this process for real, but I guess this is helping me learn to be patient!